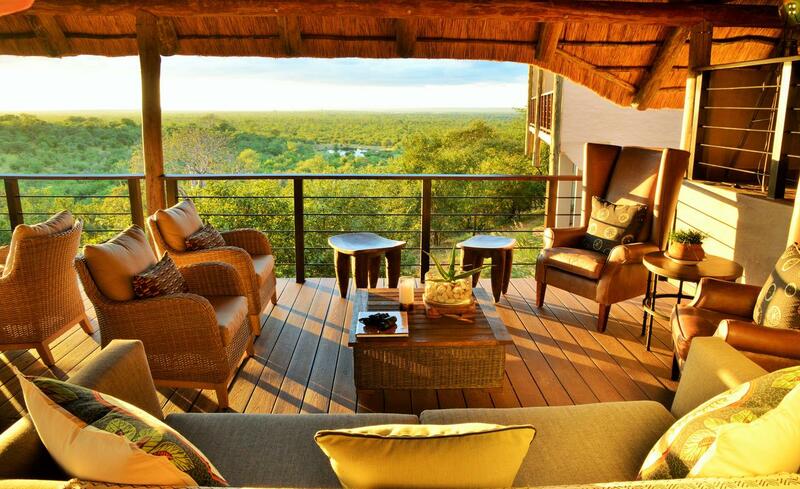 The Victoria Falls Safari Club is located on the Zimbabwean side of Victoria Falls within the busy town. 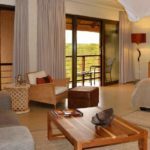 It is a quick bus shuttle away from optional activities and the mighty Victoria Falls & has becomes one of the most central lodge locations. 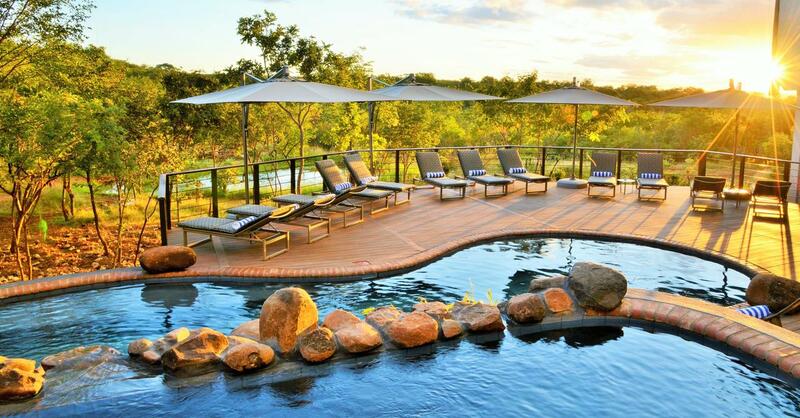 Priced from USD 380 per person. 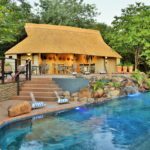 The new luxury Victoria Falls Safari Club 20-room block is situated within the magnificent grounds of the Victoria Falls Safari Lodge resort, overlooking a private waterhole. This superb Club was the showcase accommodation the United Nations World Tourism Organisation general assembly which was co-hosted by Zimbabwe and Zambia. 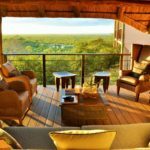 The Victoria Falls Safari Club includes 4 majestic suites with uninterrupted views of unspoilt bushveld and spectacular African sunsets. 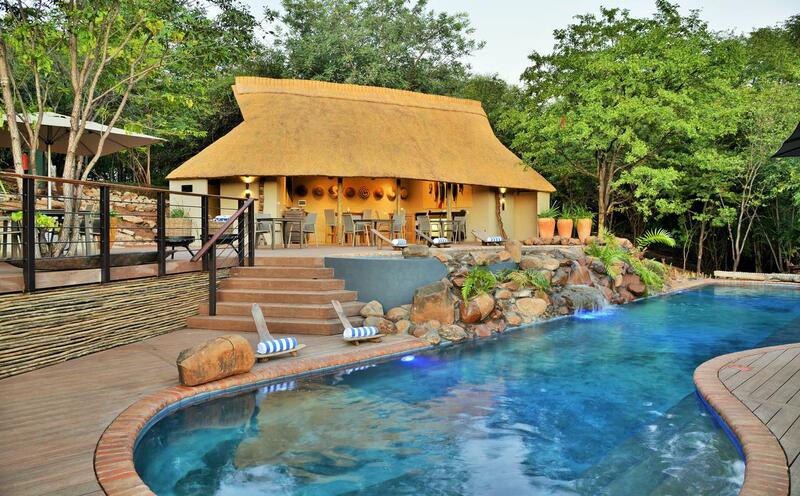 It is a place where African history and the enchanting power of nature bring an atmosphere of exclusive African distinctiveness. 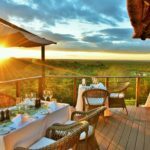 It only 4km from the Victoria Falls Rainforest, 3 km from the Victoria Falls Town Centre, 24 km from the Airport and 100 km from Chobe National Park (Botswana). 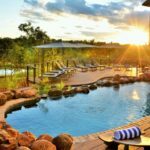 It is close enough to the highlights and a quick drive away from all of the optional activities. 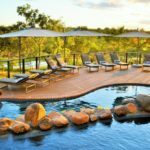 And if you prefer to relax, then the comfortable accommodation, friendly staff, gorgeous views and scrumptious food will keep you happy and well-rested. 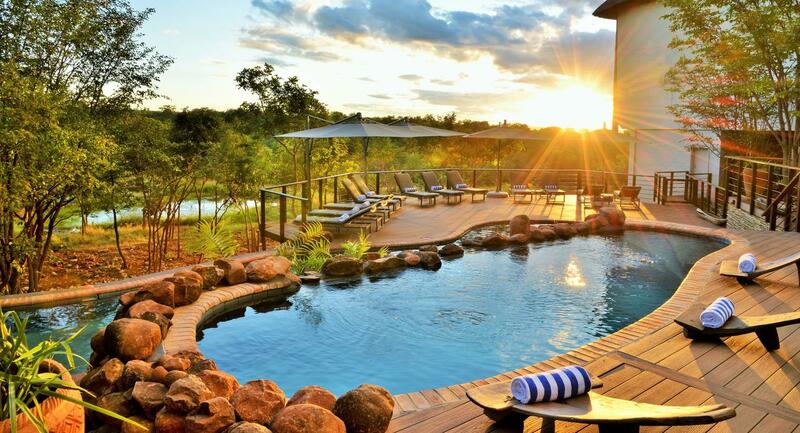 Spent 4 nights here recently, with a large group of friends, and had a marvelous time. The staff are a real credit to the hotel – nothing was too much trouble, and everything was dealt with, with a smile. Loved sitting on the main terrace and watching groups of buffalo and elephants congregating at the waterhole. Good breakfast and the free afternoon tea and canapes far surpassed that at the Victoria Falls Hotel. 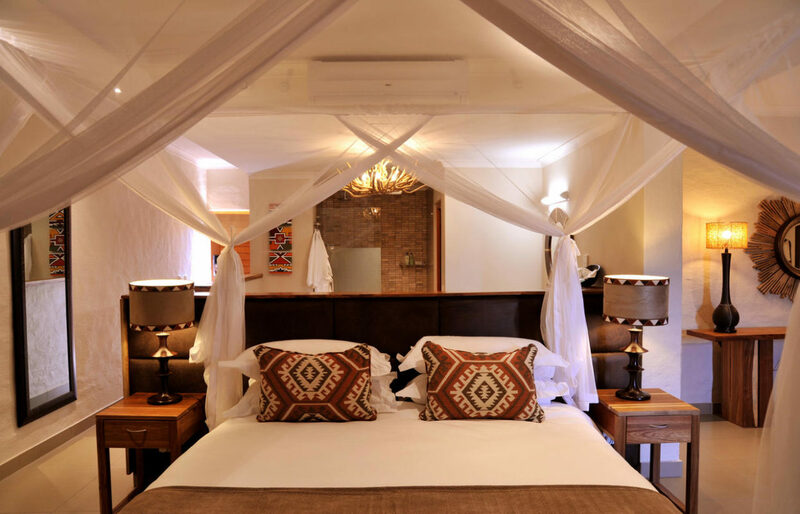 Rooms were spacious and comfortable with a balcony overlooking a small waterhole, and the free laundry was a bonus. The free shuttle bus into town was appreciated too, though it was easy enough to get a taxi for US$10. 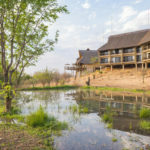 This is a very unique facility, in that each balcony looks over a bush area with two watering holes where animals can be observed. 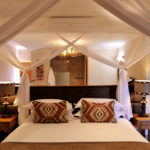 The room is large, modern and consisting of a bedroom and bath/dressing areas. 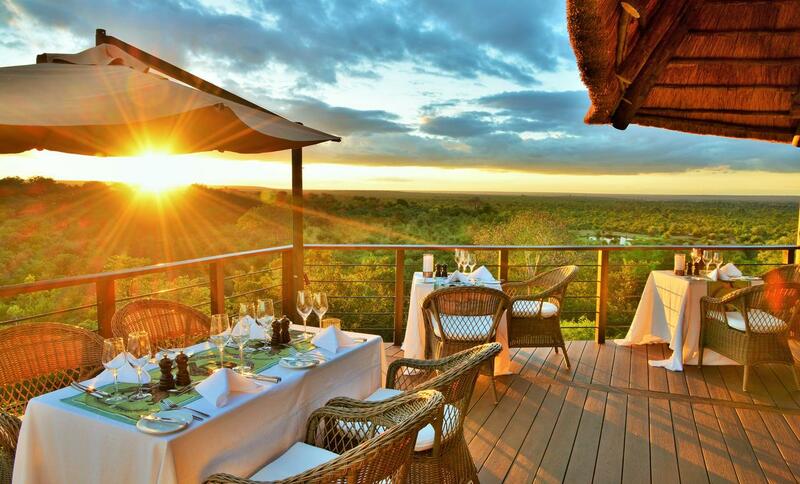 The dining room is open-air on two levels with wait staff, also overlooking the wild area. Definitely, can be recommended. Laundry is included. If you are looking for a very quiet and intimate space to have dinner try The Safari Club (best kept secret spot).